Part of the appreciation of fine art is the range of art styles to admire and choose from. As a fan of art, you will enjoy the experience more when you understand which particular art style you happen to be viewing at the moment. Here is an overview of seven popular painting styles in no particular order. 1. Realism (a.k.a. 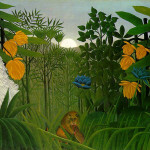 naturalism) is a style of art regarded by most as “real art”. This is because it attempts to portray the subject as it actually appears in real life but stops short of appearing like a photograph. Realism art is without stylization or following the rules of formal artistic theory. Instead the artist spends a fair amount of time and effort paying attention to creating an accurate depiction of life forms and objects, perspective creating the illusion of reality, good composition, lights and darks, and color and tone. 2. Photorealism (a.k.a. super realism, sharp focus realism, hyper realism) is an art style where the artwork looks as realistic as a photo. The illusion of reality is so minutely fine tuned that the painting looks exactly like a large, sharply focused photograph on canvas or other paint support. It is a style where careful detail down to the last grain of sand on the seashore or the pores and wrinkles on a person’s face has been included. Nothing is left out or too insignificant or unimportant to not be included in the composition. Photorealism is that realistic. 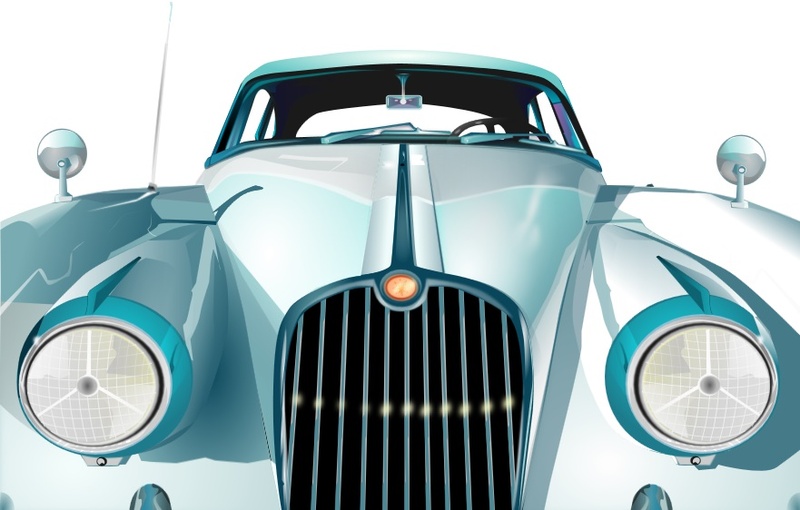 Photorealism as a style of art became a movement in late 1960 and early 1970s in America. For more information on this art movement click here. 3. Painterly is an art style characterized by visible brushstrokes and texture left in the paint medium. Artworks featuring this art style can be created using oils, acrylics, watercolors, gouache, or any medium where a brush is used. In the past, early painters took great pains to eliminate brushstrokes or texture from their paintings by working and blending their paint. Not so with painterly artists. They make no attempt to hide their brushwork that has been loosely and quickly applied. The paint doesn’t have to be applied in a thick manner either, thin layers of paint work just as well using the painterly art style. 4. 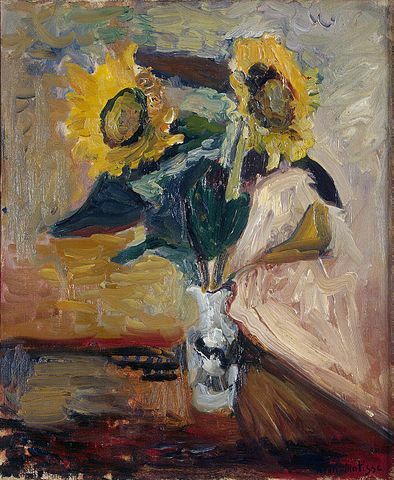 Impressionism is a style of painting that has the appearance of being rough and unfinished, and characterized by small, thin visible brushstrokes. 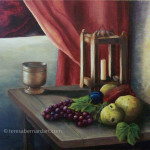 The subject matter is usually of common and ordinary subjects, with an emphasis on the accurate depiction of light. 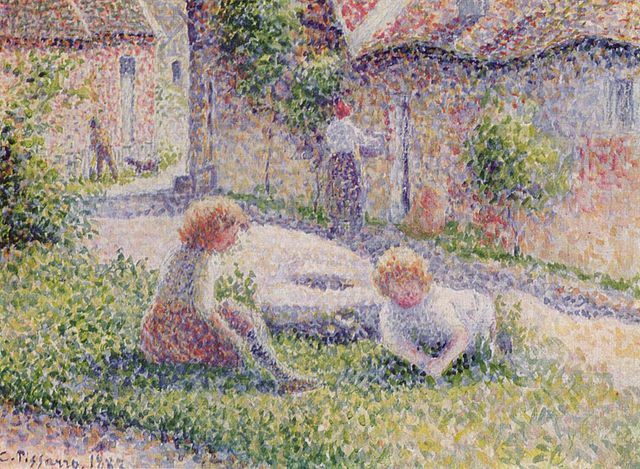 Impressionistic paintings are often painted outdoors to capture the natural sunlight and color of their subjects. Black is rarely used since impressionist artists prefer mixing and using dark tones and complementary colors. Impressionism is more a representation of an artist’s impression. It does not try to be accurate in its detail, but rather, is more like an expression of the heart. 5. Abstract art (also called modern or contemporary art) is art that doesn’t resemble anything from “real life”.  It’s an art style that is intentionally non-representational and seeks to achieve its point or subject using shapes, forms, colors, and textures. 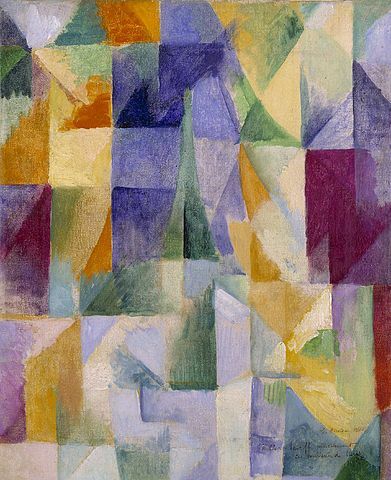 Every object on the canvas is represented by either colors and or shapes. For example colors can represent emotions and shapes can symbolize objects. The purpose of abstract is to let the viewer interpret its meaning for him/herself. At its worst, abstract art looks like an accidental mess of paint. At its best, it has an impact that strikes you from the moment you see it. 6. Surrealism is a modern art style of painting that juxtaposes, various abstract concepts together to give a startling effect. It is characterized by fully recognizable images which are realistically painted, taken out of their normal setting and contexts then reassembled or organized within an ambiguous, paradoxical, or shocking framework. Surrealist paintings are often illogical and express imaginative dreams with visions that emphasize the subconscious rather than rationale. 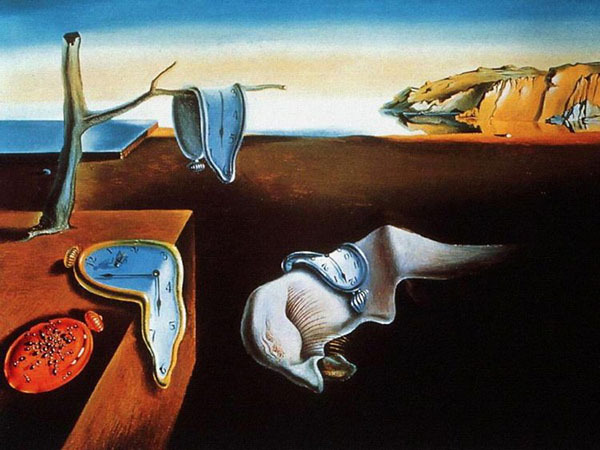 Surrealism originated in France and flourished as an art movement in the early twentieth century. For more information about the surrealist movement, click here. 7. Pop Art is a modern art style that started back in the 1950s and draws inspiration from commercial and consumer aspects of everyday life, especially in the American culture. Such imagery included advertising, mass media, comic books, celebrities and elements of popular culture, like magazines, movies, and even bottles and cans. Pop art paintings tend to focus on bold colors and realistic imagery. 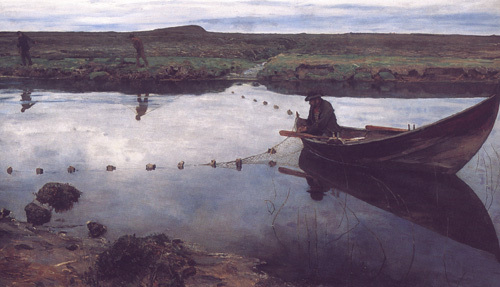 There is usually no hidden meaning in the composition either and pop artists rarely use any of the traditional techniques of perspective to create an illusion of realism in the painting. Some pop artists use mass production techniques such as silk screening to replicate their works, mirroring the manufacturing process of consumer goods. 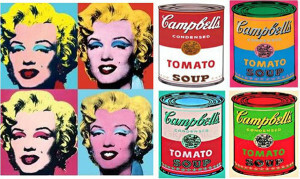 Because of its use of commercial imagery, pop art is one of the most recognizable styles of modern art. Perspective Drawing—It’s As Easy As One-, Two-, Three-Point! Perspective is a technique used in drawing or painting to give an image on a flat surface a sense of depth. An artist uses this nifty tool to make his/her imagery look more realistic and accurate as we see it in real life. Perspective creates the illusion of depth and distance on an otherwise flat surface. There are three basic types of perspective: one-point, two-point, and three-point. The one-, two-, and three-point refers to the number of vanishing points that are present when creating the illusion of depth and space. In addition to these, there is also zero-point perspective. One-point perspective is the simplest method of drawing perspective. It uses only a single vanishing point on the horizon line. A vanishing point is were two or more parallel lines converge into each other at “infinity.” A good example of this type perspective is a long hallway, railroad track or road where the viewer is positioned face-on looking down the center. As you can see in the illustration, the two tracks are parallel to each other and you know they will remain the same distance apart, however, the further away they get the closer they appear to be until they eventually disappear at the horizon. Rule: Use one-point perspective to create the illusion of distance in a drawing or painting. Two-point perspective comes in to play when a drawing contains two vanishing points positioned arbitrarily along the horizon line. This perspective positions the object where the viewer can look at the object from an angle and see two sides at one time. That is, looking at one corner, with two sets of parallel lines moving away. An example of two-point perspective can be illustrated with the use of a box, cube, or other objects with the same geometric shape, such as a house or building. When looking at the object from the corner, one side recedes toward one vanishing point and the other side recedes toward the opposite vanishing point. 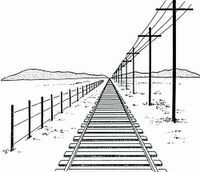 As can be seen in the illustration, each set of parallel lines has its own vanishing point. Two-point perspective is what gives a geometric object the illusion of 3-D.
Rule: Use two-point perspective to make a geometrical object appear to be three dimensional. Three-point perspective is a little trickier than the other two because this type deals with three vanishing points. It includes two vanishing points somewhere on the horizon line and there is also a vanishing point either above or below the horizon that all vertical lines lead to. This type perspective is great for rendering objects, such as buildings and cityscapes, that are seen at an aerial or ground view. When the third vanishing point is above the horizon, then an image is created from an ant’s perspective, that is, looking up toward the image from below. When it is below the horizon, a bird’s eye point of view is created where it feels as if you are looking down on the object from above. Rule: Use three-point perspective when you want to render building scenes, such as cityscapes, complex close-up objects and highly detailed interior scenes. Zero-point perspective is the technique used to give the illusion of depth when there are no parallel lines in the image and therefore no vanishing points. Vanishing points can only exist with the presence of parallel lines. However, a perspective without vanishing points can still create a sense of depth, that’s where zero-point comes take effect. 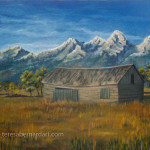 The most common example of depth without parallel lines or vanishing points is a natural setting, such as a mountain range or a landscape of hills and valleys. Objects are larger the closer they are and decrease in size proportionally the further away they are. 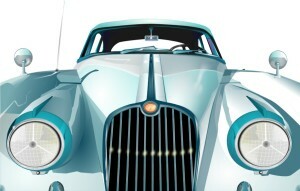 The closer objects are, the more detailed they are. Objects loose detail the further away they are. Color fades becoming more muted blending into background colors. Objects placed higher on a plane create more of the feeling of depth or distance. Rule: Use zero-point perspective when there are no parallel line in an image to create the sense of depth. How are fine art paintings categorized? The most common method for classifying fine art paintings is by genre (or theme). Genre is a French word that means “type” or “kind”, and what this means is, it refers to the type of image a painting portrays as its subject matter. Whether it is a landscape, portrait, still life, seascape, etc., paintings are categorized by what is depicted in them. Abstract Art is artwork that looks like it has been accidentally created by a two year old. It has no defined meaning and seeks to break away from the traditional representation of physical objects in real life. More often than not, abstract art is a collection of meaningless shapes, texture and colors thrown haphazardly onto a canvas. Its purpose is to let the viewer interpret its meaning for him/herself. 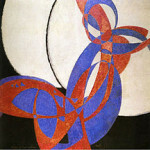 Pictured is an example of abstract art. Cityscapes, or as it is sometimes called Urban Landscapes, are paintings whose subject matter is the physical aspects of the city, urban life, city sections (like a city block, street corner, outdoor café, rooftops, etc.) or other urban area. A Townscape is similar to a cityscape, only it is of a township with a smaller population and perhaps less modern architecture as well. 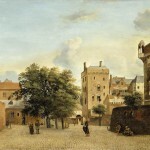 Shown is an example of a cityscape or urban landscape. Genre Art is scene art of everyday life which depicts real life in action with ordinary people at work or in recreational situations. These type artworks include intimate scenes of daily life, costumes, domestic settings, interiors, celebrations, tavern scenes, markets and other street situations. It could also show a busy street, a beach party, a dinner gathering, or anyplace where living goes on. The subject matter is often are portrayed realistic style. See example of genre art. History Paintings which are also called Historical Paintings portray a moment in man’s history and are not to be confused with a genre painting which depicts scenes of everyday life. History paintings can include a range of historical subjects and topics and often illustrate a part of a story or significant event. 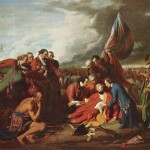 An example of historical or history painting is shown. 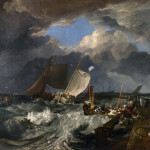 Marine Art or Maritime Art derives its inspiration from the sea. This genre of art depicts life on the open seas, boats and ships, fishermen, etc. It includes art showing shipping on rivers and estuaries, beach scenes and all art showing boats and ships. It almost always includes some element of seafaring vessel. Ship-portraits is a type of marine art that is still popular in which a single vessel is portrayed. Notice example of marine or maritime art. Naïve Art is works of art characterized by a childlike simplicity that possesses minute detail, bright saturated colors, disproportionate figures and lack of perspective. It portrays simple, easy-to-understand and often romanticize scenes of everyday life. The absence of perspective often creates the illusion that figures within naïve paintings are weightless or floating. 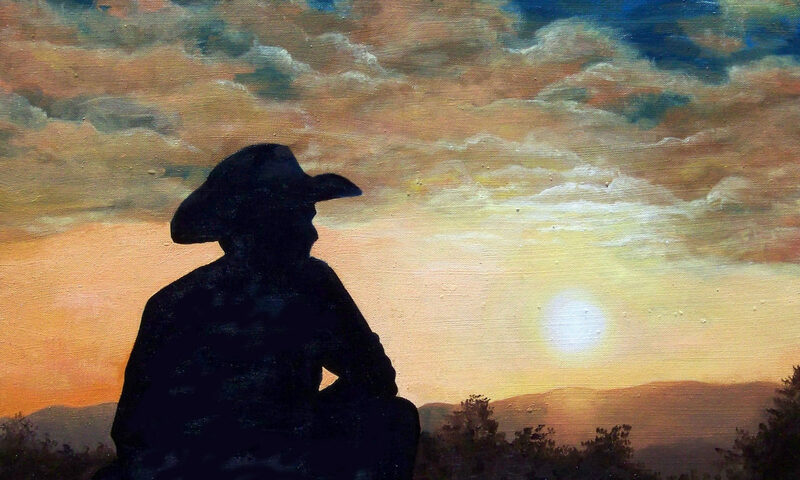 Naïve artists are often self-taught artists with very little or no formal art training. An example of naïve art is pictured to the right. Portraits are artistic representations of a person, especially the face. Besides the likeness, the essence of a portrait also captures the mood and personality of the subject. A portrait of an individual may be of the face-only, or it may be head and shoulders, or the full-body. 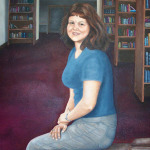 Many portraits are composed of the person in a still position and often the subject is looking directly at the painter. 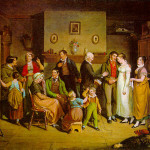 Included in this genre are Group-portraits (consisting of more than one individual), self-portraits and pet-portraits. A Self-portrait is one in which the artist does an artwork of him/herself. Pet-portraits of a beloved pet could also be in this category, however, animals usually fall into the wildlife category. Religious Art or Sacred Art is any artistic representation using religious inspiration to express a message intending to elevate the morals of the one observing the artwork. The subject matter can be either a scared story or a profession of the artist’s faith. Religion means any set of individual beliefs, either Christian or non-Christian, which are regarded as sacred, holy, spiritual or divine. 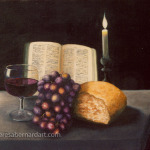 Shown is an example of religious art and is titled The Communion Table. Space Art (sometimes referred to as Astronomical Art) is a genre of art that attempts to communicate ideas and appreciation related to the infinite variety and vastness of outer space by depicting interstellar and interplanetary elements as its subject matter. All this is made possible with the invention of telescopes making it possible to look off our world. Artists can now render what is seen out there and attempt to capture the wonders and majesty of our universe. Planets, stars, constellations, spacecraft, astronauts, black wholes, moons, comets, and other heavenly bodies can found in space art. 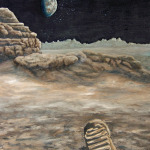 Some other art terms related to this category include lunar landscape, moonscape, moonset, etc. 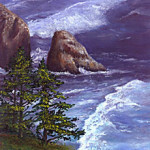 Seascape paintings are much like landscapes, only this genre of art depicts the sea with marine landscapes, beach scenes, fish and marine animals, or views of the ocean itself. Fish and other marine animals can also be categorized as wildlife. Seascapes should not be confused with Maritime Art which depicts life out on the open sea, not necessarily a marine landscape. Still Life paintings feature an arrangement of everyday inanimate objects laid out on a table or similar surface. The objects used can be either natural or man-made. Examples of natural objects could be flowers, food, wine, rocks, seashells, dead animal skulls, etc. and manufactured items could be drinking glasses, books, bottles, pottery, coins, dishes, musical instruments and so forth. Wildlife Art is characterized as works of art which portray the natural world and the wildlife or domesticated animals that inhabit it. It is one of the earliest forms of art dating back to prehistoric cave paintings. 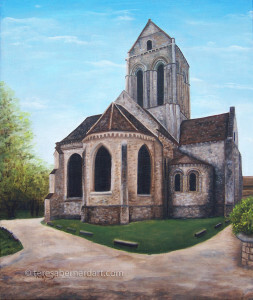 Portraits of animals or fish (whether wildlife or family pets) could also fit into this genre. 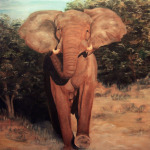 The wildlife art sample shown is titled Raging African Elephant. Fine art is a visual expression or application of human creativity involving both technical know-how (skill) and the ability to think of new things (imagination). Artists who create fine works of art do so primarily for aesthetic reasons and they usually specialize in a specific type of art, such as painting or sculpture. 3) finding connections between seemingly unrelated attributes. What does the Holy Bible reveal about the visual arts? You shall speak to all the skillful, whom I have filled with a spirit of skill, that they make Aaron’s garments to consecrate him for my priesthood. Now Hiram king of Tyre sent envoys to David, along with cedar logs and carpenters and stonemasons, and they built a palace for David. the son of a woman of the daughters of Dan, and his father was a man of Tyre. He is trained to work in gold, silver, bronze, iron, stone, and wood, and in purple, blue, and crimson fabrics and fine linen, and to do all sorts of engraving and execute any design that may be assigned him, with your craftsmen, the craftsmen of my lord, David your father. 1The word that came to Jeremiah from the Lord: 2“Arise, and go down to the potter’s house, and there I will let you hear my words.” 3So I went down to the potter’s house, and there he was working at his wheel. 4And the vessel he was making of clay was spoiled in the potter’s hand, and he reworked it into another vessel, as it seemed good to the potter to do. 1 Kings 6 – As you read through this particular passage, you should note that God goes into great bit of detail on how He wants his temple to be constructed. Some of the instructions even require craftsmen and artisans to complete. From reading these verses, it is clear that God wants a beautiful place of worship for his people. 1 Kings 7:13-51 – In addition to specific instructions regarding the temple construction, God also goes into detail about how he wants the furnishings for the temple constructed. How beautiful are your feet in sandals, O prince’s daughter! The curves of your hips are like jewels, The work of the hands of an artist. Out of Zion, the perfection of beauty, God has shone forth. 1In the beginning, God created the heavens and the earth. 8Your hands shaped me and made me. Will you now turn and destroy me? 9Remember that you molded me like clay. Will you now turn me to dust again? 9“Woe to those who quarrel with their Maker, those who are nothing but potsherds among the potsherds on the ground. Does the clay say to the potter, ‘What are you making?’ Does your work say, ‘The potter has no hands’? 18For this is what the Lord says—he who created the heavens, he is God; he who fashioned and made the earth, he founded it; he did not create it to be empty, but formed it to be inhabited—he says: “I am the Lord, and there is no other. But now, O Lord, You are our Father; we are the clay, and You are our potter; and all of us are the work of Your hand. 20But who are you, a human being, to talk back to God? “Shall what is formed say to the one who formed it, ‘Why did you make me like this?’” 21Does not the potter have the right to make out of the same lump of clay some pottery for special purposes and some for common use? For by Him all things were created, both in the heavens and on earth, visible and invisible, whether thrones or dominions or rulers or authorities—all things have been created through Him and for Him.